I want to share an amazing story about human kindness, which is incredibly relevant during this week and centers around giving thanks. Two weeks ago my father passed away after a two-year battle against a rare form of non-smoking lung cancer. I want to share an amazing story about human kindness, which is incredibly relevant during this week and centers around giving thanks. Two weeks ago my father passed away after a two-year battle against a rare form of non-smoking lung cancer. He left us just three days short of his 67th birthday. He lived an entire year longer than the doctors expected from when he was first diagnosed with this disease. My father fought until the very end, refusing to stop treatments and receiving a heavy round of chemo just three days before he passed away. His name was James Anthony Calder and he was the greatest man I have been fortunate to know. He has redefined the word strong for me after watching him fight this horrible illness. A repetitive depiction that my family and I heard about my father at his funeral services was "how great of a guy he was and how he loved to laugh." Approximating one month before what would have been my father's last birthday, my wife and I were discussing what to get him for a birthday present. It is a challenging question; what do you get a great man who is so ill? Being familiar with social media communication and marketing, my wife and I decided to start a virtual birthday party group for my father on Facebook and invite friends and family to make videos with some "happy birthday" messages. As the videos started rolling in we thought about who we could reach out to for a birthday message that would really impress my dad. We immediately thought of his favorite TV show, Seinfeld. We started planning how to pitch this to the Seinfeld characters and started to reach out through published articles about the project, social media outreach and word of mouth. The Seinfeld birthday project was born, but we really weren't sure how and if it would flourish. As any Seinfeld fan knows, the TV show had a star studded cast. We never dreamed we would be able to get in touch with any of the top four lead actors on the show, let alone some of the actors who played supporting yet legendary characters. 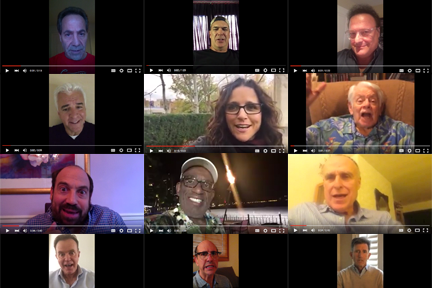 Some of the cast members not only made videos with great birthday messages but they were creative, thoughtful and sincere. These wonderful people helped to honor and celebrate my father's birthday and provided a much needed distraction during an extremely difficult time for my family. Their kindness and compassion has humbled us to our core. John O'Hurley was the first to respond and he performed a parody of his famous character J Peterman wishing my dad a happy birthday. Soon after Larry Thomas sent in his video portraying the Soup Nazi while wishing my dad a happy birthday. Next, Danny Woodburn and I exchanged a bunch of messages on Facebook and he sent me his video depicting Mickey Abbott. The excitement from receiving these awesome videos for my dad provoked me to write about the Seinfeld birthday project on the Huffington Post with hope that the readers would share in our sentiment and help us get in touch with more characters from Seinfeld. After the article was published, we started to receive more videos. As each video came in my family would hover around and watch the video and laugh or gasp in awe or tear up. It was a great gift to have during this time. Especially for my strong-willed mother who couldn't believe the outpouring of support from strangers for her beloved husband. Here is Wayne Wilderson who played Walter at Peterman. Kevin Page who played Stu Chermack. Patrick Warburton who played David Puddy. Steve Hytner who played Kenny Bania. Ping Wu who played Ping the delivery biker. Wayne Knight who played Newman. It was at this point that we started strategy for how to reach the top lead actors from the show. 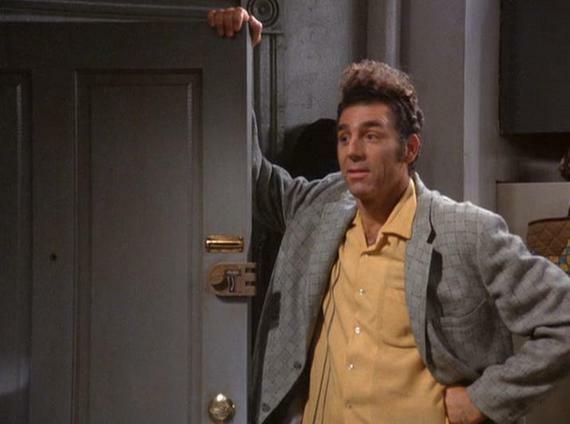 To my surprise I soon received an email from actor Michael Richards who played Kramer. He wanted to actually call my dad on the day of his birthday to wish him the best and have a chat. I was blown away by his kindness and generosity. I did try to coax him to create a video message as well but he shared that he wasn't interested in the publicity and just wanted to help me wish my dad a happy birthday. Siobhan Fallon Hogan who played Tina. Lisa Mende who played Carol. Sam Loyd who played Ricky. 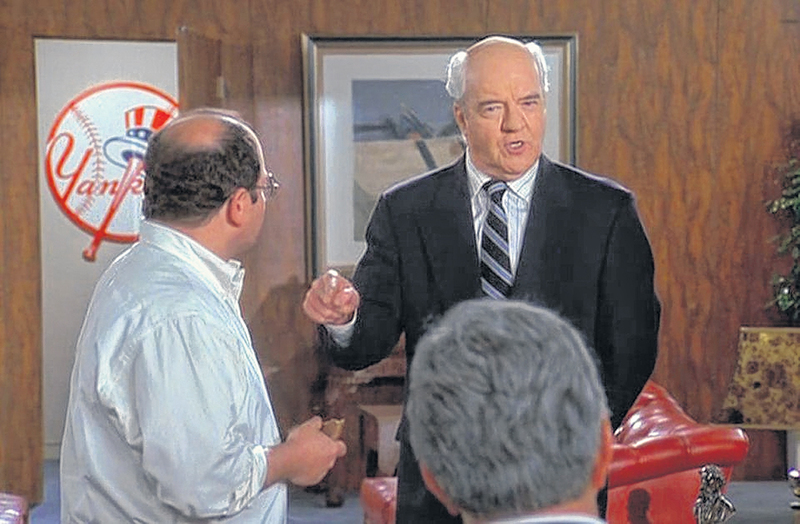 Richard Herd, who played George's boss Mr. Wilhelm at the Yankees, spoke with me over the phone several times. He was also going to call dad and speak with him personally on his birthday. He was so kind and so sincere. Richard Fancy who played Lippman. Heidi Swedberg who played Susan emailed in birthday wishes as well as Marc Metcalf who played Bob Cobb the Maestro. Matt McCoy who played Loyd Brawn. Next, I received an email from notorious weatherman and TV personality Al Roker as he was mid-flight heading out for his Rokerthon trip across the country. Roker played himself in an episode of Seinfeld. He said he would send a video when he landed in Hawaii and he did. 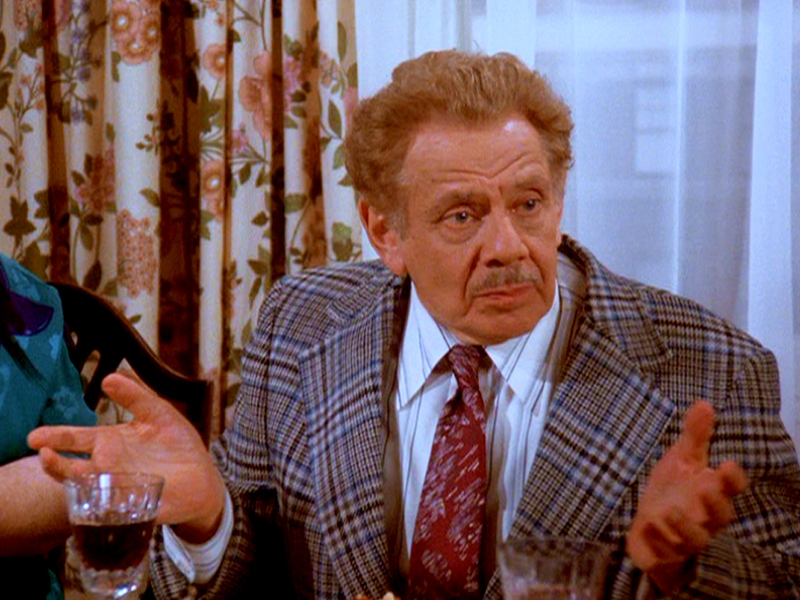 Actor Jerry Stiller who played Frank Costanza and Lawrence Mandley who played Larry the Cook at Monk's Cafe both sent videos in character, which they requested remain private for only my dad and our family. My father's condition worsened as the Seinfeld birthday project continued to develop. He received detrimental news which resulted in more Chemo treatments and then being admitted into the hospital. The day before he passed, my mom and I decided to start showing him the videos to lift his spirits. He was shocked and mystified about how we were able to reach the Seinfeld cast members. He really felt the love and support. Later that day as we were still in the hospital room Julia Louis-Dreyfus' assistant sent us this amazing video. The amount of kindness shown to my family not just by the actors and actresses but by all the people who read the story was overwhelming. People wrote to me with leads about who they knew and how they knew some of the Seinfeld actors and how the wanted help my family and I reach out to them. Others just sent us beautiful emails about their own families and experiences with cancer. The night my father left us something kind of eerie happened in regards to the Seinfeld connection. My mom and I decided to stay at the hospital that night. We were with dad and he passed peacefully with us by his side. My wife and daughter went back to my parents house for the night and my wife just turned on the TV and one of my dad's favorite episodes of Seinfeld was playing. The Merv Griffin Show (season 9, episode 6). We all believe it was a sign from dad as he left this world for a better place. In a world where my father's own oncologist could use a lesson in human kindness and compassion, we found a wealth of it from cast members of Seinfeld and readers. From my family to every single person who helped with this project in any way, thank you so much! A special thank you to the leaders at Wound Care Advantage where I work, who encouraged me to spend as much time with my dad as possible. It is because of their kindness, I was able to take my dad to his last chemo treatment and spend the last two days of his life holding his hand and helping to care for him.